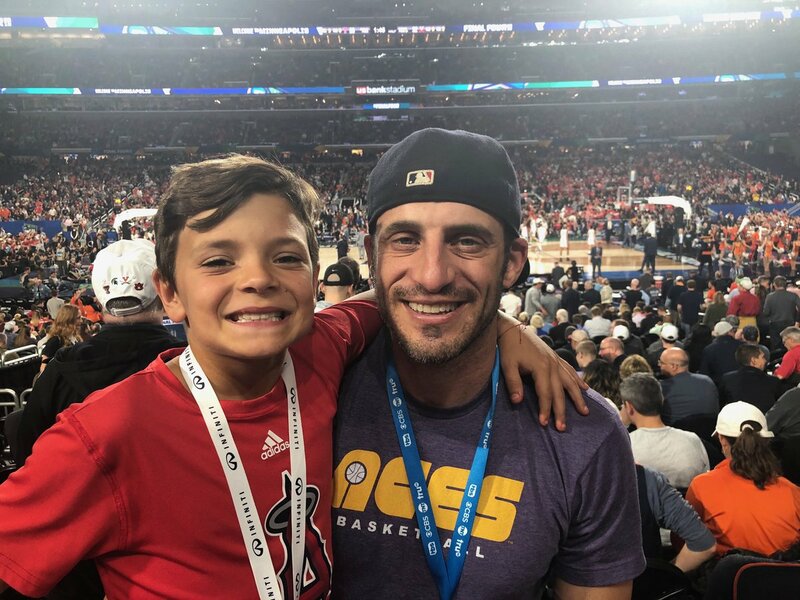 Did anyone see Gottlieb tweet out a picture from the final 4 sporting an old school Aces shirt? Pretty cool. His stock just went up in my book. Great to see that shirt getting a lot of Twitter love. I'll go ahead and commit an act of heresy. Never liked the orange with purple at all. Go back to some shade of gold, or simply purple/white. SI_Acesfan wrote: Great to see that shirt getting a lot of Twitter love. I'm with you I prefer the Gold...I always thought it looked better. I highly doubt they go back to it though, given how much some like the orange and also given the fact UNI is purple and gold. I don't really have a problem with the Purple/Orange combo, just think the gold was a more sleek look. Also a whole lot more success with the Gold...they stopped wearing Gold after 1996. I always thought of the color as more yellow than gold, of course there comes a point in shades where the two meet. When I hear gold the Old Gold of Purdue comes to mind, I don't recall it ever approaching that. I like the purple and orange combo. I like the purple and orange combo but either way works for me. evilleman wrote: Did anyone see Gottlieb tweet out a picture from the final 4 sporting an old school Aces shirt? Pretty cool. Thanks I'm not smart enough to know how to post it here. I'm surprised I understand how to work that Twitter machine. evilleman wrote: Thanks I'm not smart enough to know how to post it here. I'm surprised I understand how to work that Twitter machine. NP, we are a team. The short answer is you put the web address of the picture in “Img” tags and that is it. The hard part sometimes is finding that link to the picture. Note: When you go to the full editor there is an “img” button, press that and that will give you the tags. Then simply type the web link to the picture between the tags. If this makes no sense, no problem; but I thought I would give it a shot on how to do it.